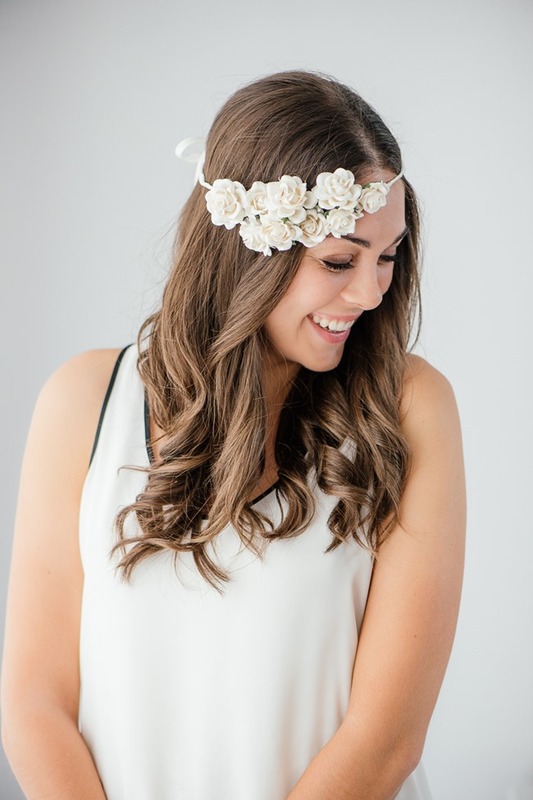 A floral head crown makes the perfect bridal accessory for a spring wedding, and making your own is surprisingly easy. 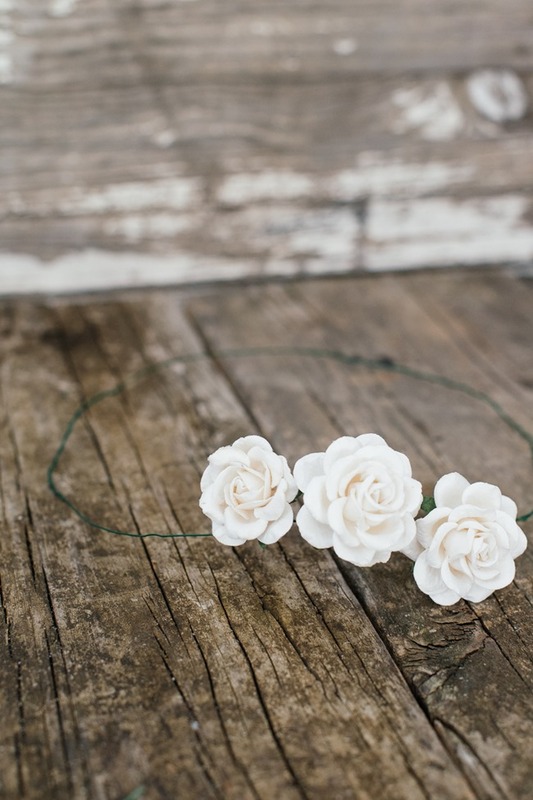 You can even make smaller versions of this pretty crown for your flower girls. 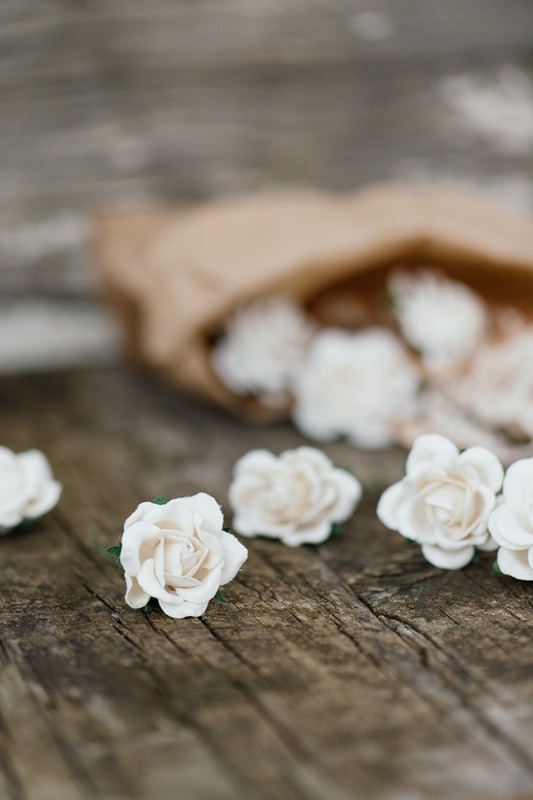 Even though we love fresh flowers, we opted fake flowers as we know they won’t wilt. This also a great project to tick off your to-do list early on in the wedding planning process. 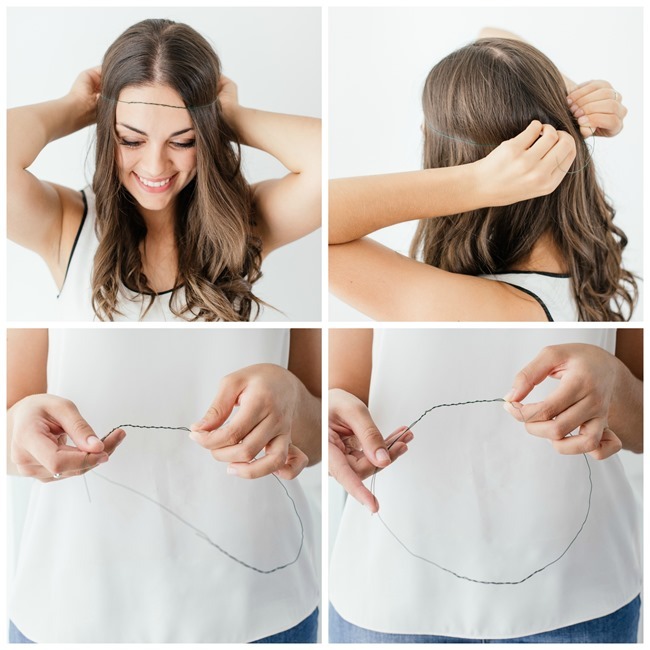 Measure the outline of the “crown” by bending it in a circular shape and fitting it around your head. To avoid the wreath from sliding down or falling off, make sure that it fits snug on your head before cutting off the extra wire. Secure the two ends of the wreath, by joining the wire ends, and twisting the one over the other, overlapping about 5 cm. The tighter you twist the two ends, the more secure the wreath will be. 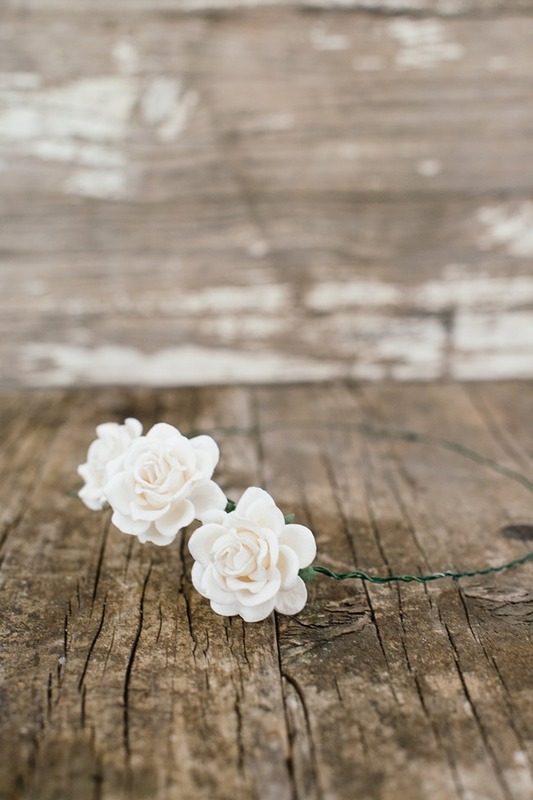 Place the wire structure on a flat surface and arrange the flowers as you would like to attach them. We grouped all the flowers together on one side of the wreath, but you can also spread them out to create a different look. 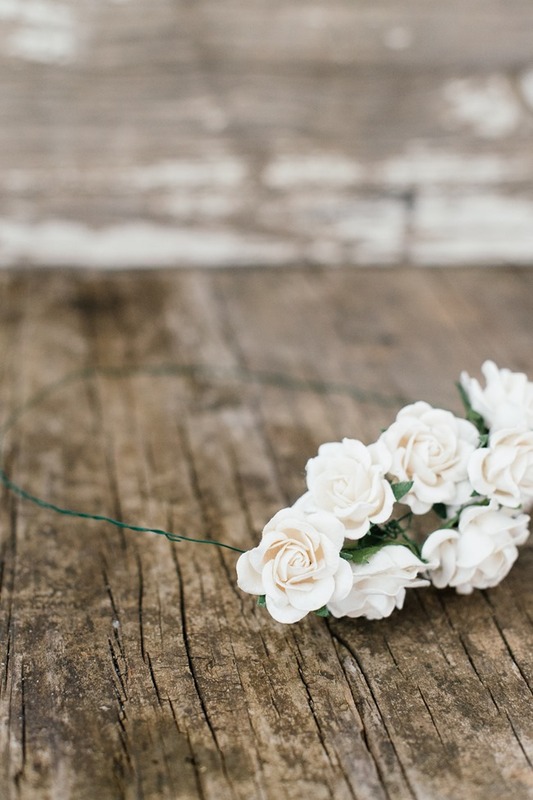 Attach the flowers to the wreath by twisting the wire ends around the wire structure. Make sure that there are no ends sticking out, and that the flowers are nicely spaced. If you are not happy with how it looks, you can always take the flowers off and start again. 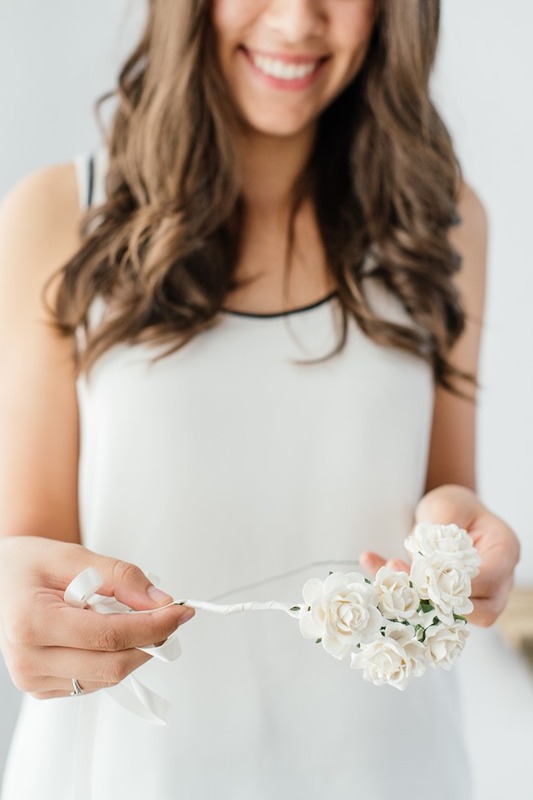 When you are done attaching the flowers you can cover it with florist tape to make it more secure, and to prevent any or the wire ends from scratching your head. Now you can cover it with pretty ribbon. Cut the ribbon in half. 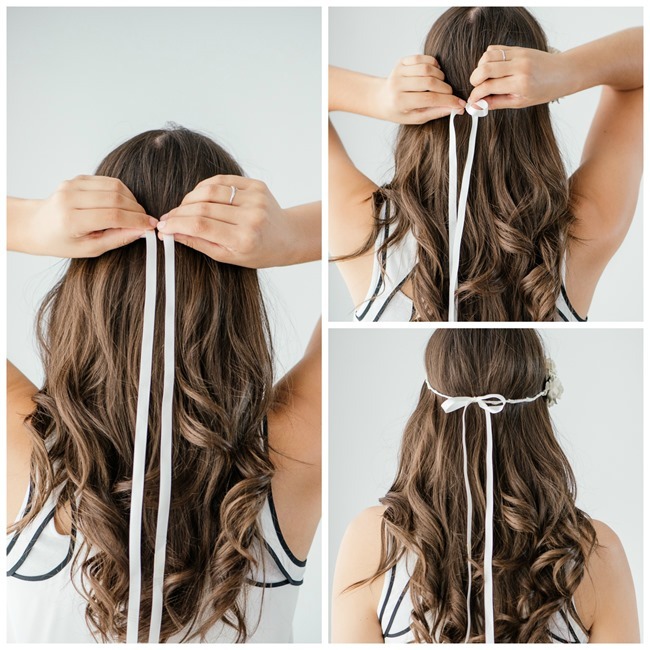 Tie a ribbon on either sides of flowers, hiding the knot under the flowers. Twist the ribbon around the wreath on both sides moving inwards till the two ends meet. Make a secure knot with the two ends ensuring that ribbon does not unravel. 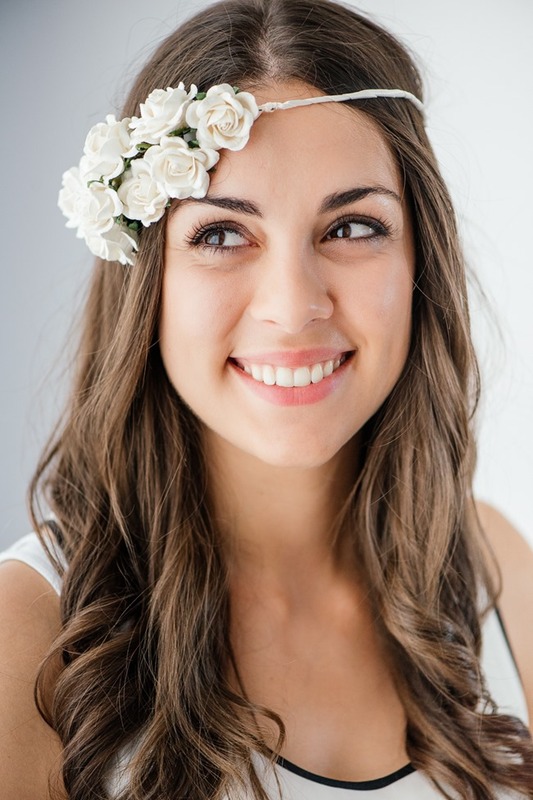 To make the floral wreath look pretty from the back as well, make a bow knot. 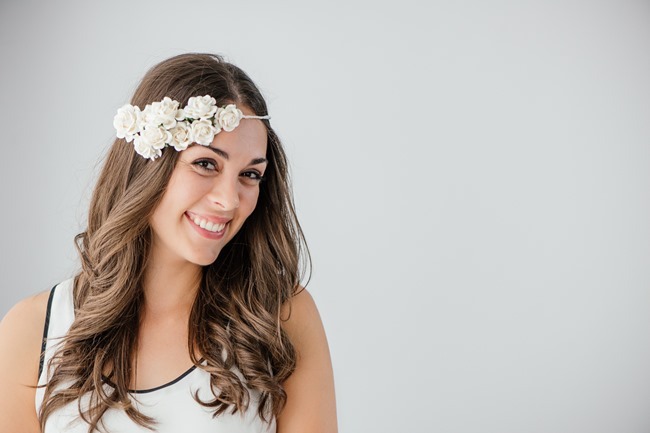 Now all you have to do is place the wreath on your head and style your hair to complement the look. 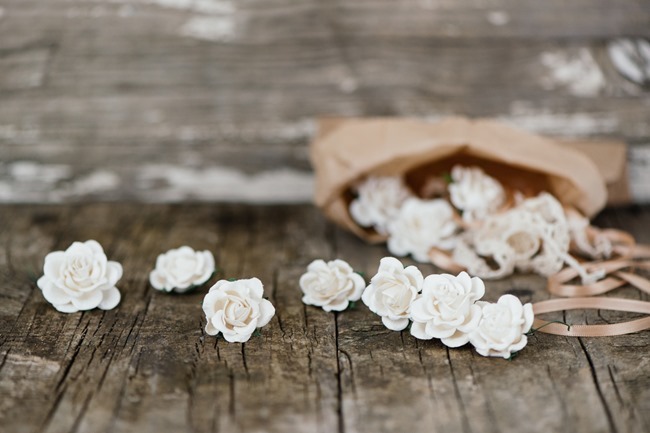 Handy tip: The amount of flowers you use will depend on the look you want to create. We used ±12 different sized flowers for this wreath. 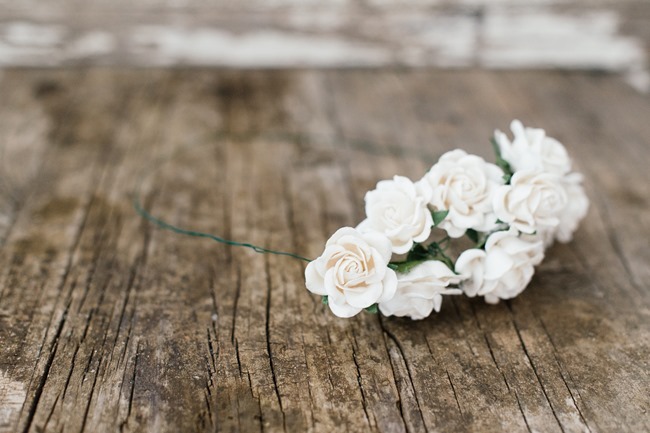 The flowers we used had pieces of wire at the ends, making it easy to attach to the wreath structure. 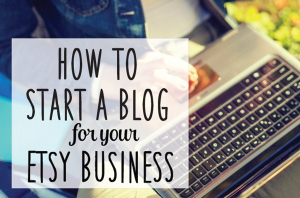 This beautiful guest post was created by The Pretty Blog. 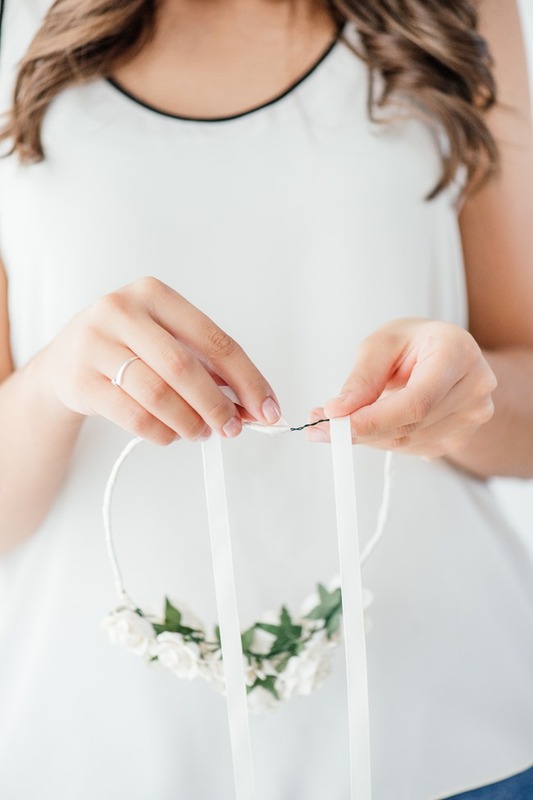 You will love all the creative wedding ideas, DIY projects and lovely lifestyle tips you’ll find there. I’ve been a fan for years! The photos will knock your socks off! 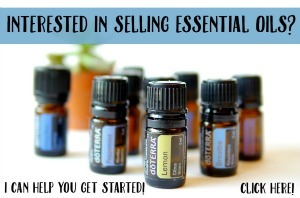 You can thank me later for introducing this blog to you…ha! 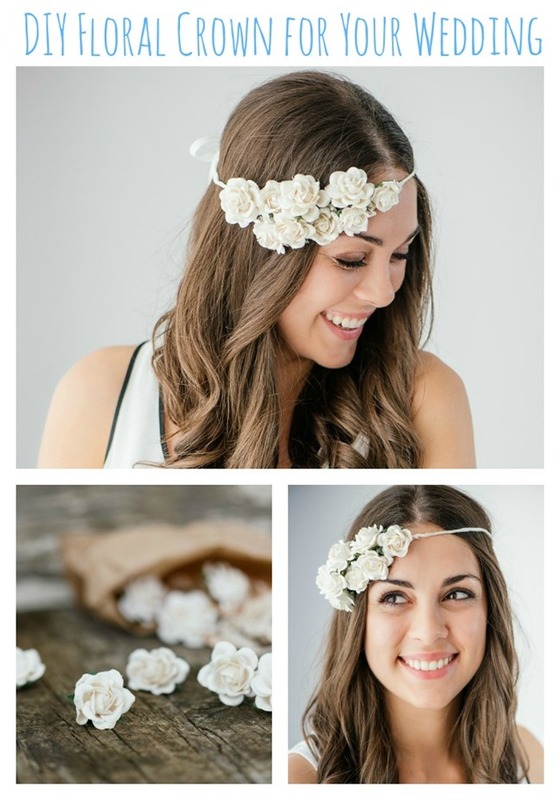 This was really helpful for creating own floral head crown at home. Thanks for the post.